So, I have purchased a splitter cable, like the second picture below, with three rings so that my MacBook would recognize the mic. When I go into System Preferences > Sound > Output it says Headphones are inserted into Headphone Port, which is correct. Unplugging it turns it back into the default Built-in Internal Speakers. However, under audio input it still says it is using the Internal Microphone. Other sound programmes such as Adobe Audition also do not recognize the mic, but recognize the speakers plugged in. Why is this so? Note: The cable and the microphone work perfectly on a PC, so there are no problems with the splitter cable and/or the microphone. The splitter in your photo has a TRRS jack, which is often called "4-pole" or "4 position" because of its 4 metal sections separated by 3 bands. Your MacBook Air (although I'm not familiar with yours in particular) probably has a TRRS port (rather than one port for microphone and a separate port for headphones). So you could plug iPhone earbuds (which have a mic) into that port. 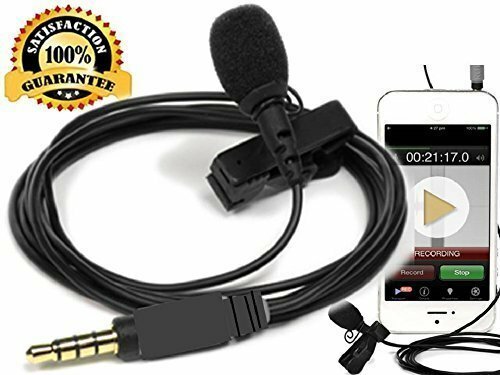 The lavalier mic shown in your photo appears to have a TRRS jack and so would probably work with your MacBook Air without even using an adapter. However, you said that you own a different one and that yours has only "one ring". I would agree with your assumption that plugging a 1-pole mic jack into that adapter and plugging the adapter into your MacBook Air should work. Many people online are reporting problems with this MacBook Air port, however. I have not yet found a reliable repeatable solution but wanted to share what I've come across so far, and I hope it helps you (and others). Not the answer you're looking for? Browse other questions tagged audio headphones microphone . How can I use my Apple earbud mic with the internal speakers on my Macbook Air? 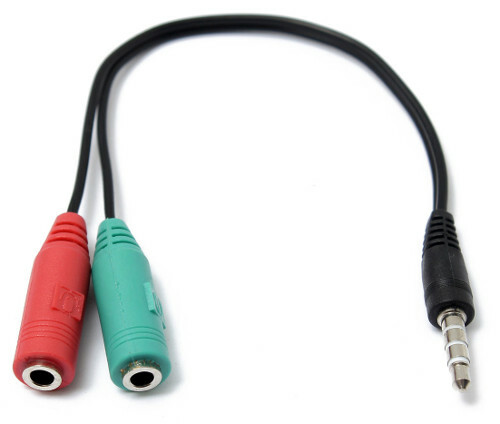 Do splitters for mac combined mic/headphones exist?